The brokerage firm has received this information from Reliance Jio’s channel partners and retailers. Jio will also add long-duration plans in the future, says the firm. 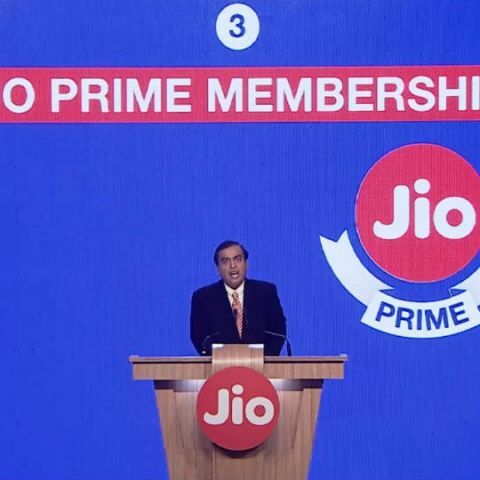 Reliance Jio is all set to roll-out its Jio Prime memberships starting March 1, tomorrow. Jio will charge a Rs. 99 membership fee for Prime membership, wherein users will be able to continue the telco’s unlimited voice and 4G data services for the next 12 months at a price of Rs. 303. Members will also get to use Jio’s entire suite of apps like JioTV, JioCinema and more for free till March 31, 2018. Now, as per reports emerging from the ongoing Mobile World Congress in Barcelona, brokerage firm CLSA has revealed in a note that Jio will be adding two more tariff plans under its Jio Prime membership scheme. One of the plans will charge users Rs. 149 for 2GB data and unlimited voice calls, whereas the other will cost Rs. 499 for 60GB data and free voice calls. “As per our discussion with channel partners and retailers, Reliance Jio has revealed more tariff plans under the “Jio Prime Program” that requires one-time membership charge of Rs 99 to be paid before March 31, 2017,” CLSA said in the note. These plans will be an extension to the current Rs. 303 plan. In addition, CLSA’s note also states that Reliance Jio will offer long-duration plans for Rs. 999/1999/4999/9999 with 60/90/180/360 days validity and 60/125/350/750GB data sans any daily limits. According to the CLSA note, all these subscription plans will include access to Jio’s app services, but the free voice calling facility will be limited to first 1000 minutes per month, while Jio-to-Jio calls will remain free of cost. Reliance Jio and Samsung have also held a joint press conference at the Mobile World Congress 2017, where both the companies have also announced a partnership to bring 5G services to the country. "As Jio’s end-to-end (E2E) LTE solutions partner, it is a great pleasure for Samsung to contribute to Jio’s tremendous success. The massive deployment of over a million cells across India is especially remarkable. We will strive to create new paradigms for LTE-Advanced Pro and 5G by closely cooperating with Jio as a unified workforce," said Youngky Kim, President and Head of Networks Business at Samsung Electronics.